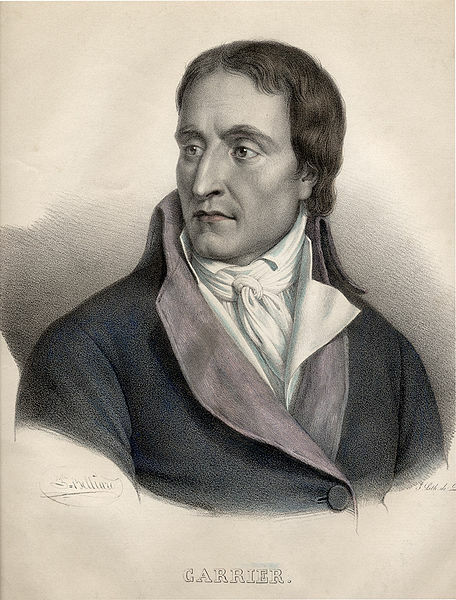 Anonymous portrait of Jean-Baptiste Carrier (1756-1794). 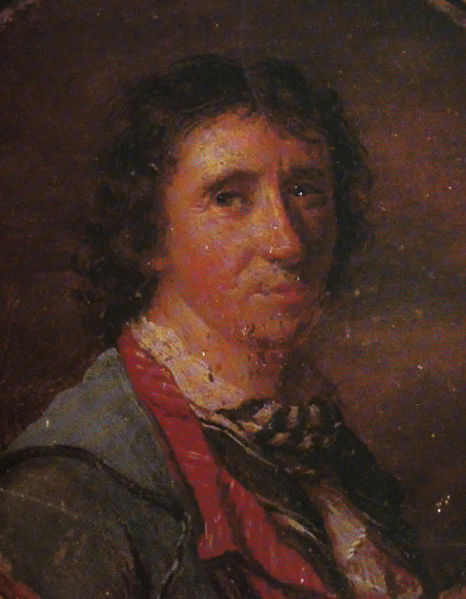 This portrait of Jean-Baptiste Carrier, perpetrator of the notorious "Noyages de Nantes", was posted on the French version of Wikipedia in December 2009 and has subsequently found its way onto several other websites. 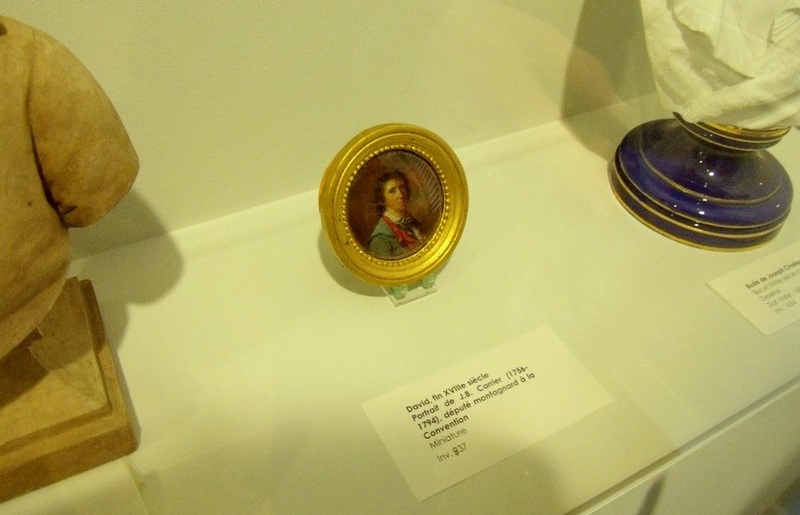 No dimensions are given - it was scanned from a 1980 edition of Michelet - so it is easy to miss that it is a miniature: not snuff box lid size, but still pretty small. 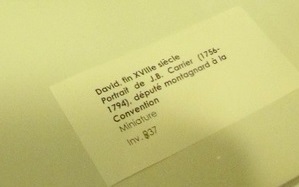 The original is in the Musée Lambinet. The label in the museum ascribes it to David himself - not implausibly: it is an accomplished and arresting work. One Wikipedia commentator has cast doubt on whether the portrait really is Carrier. He has even consulted Carrier's descendants. (The Carrier gene is strong, he says cryptically - no doubt someone still has that nose!). The family "swear by" a Delpech lithograph, the only other known likeness apart from overt caricatures. Personally I think the two images could well be the same man. The real problem is accepting that this sympathetic and sensitive portrait could indeed represent someone with such an odious and fearsome reputation as the murderous Carrier.